Just a decade ago, the Foreign Exchangewas a market reserved for a select few.Now, anyone can actively trade in this profitablemarket-even those with no formal financialeducation. Enter James Dicks, a leading FOREXexpert and educator who cut his teeth in thisburgeoning market and wants to share his yearsof experienced wisdom with you. 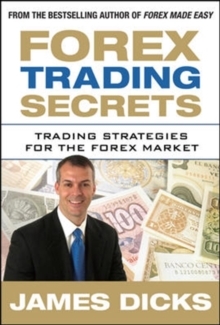 FOREX Trading Secrets is a one-stop sourcebookpacked with everything a trader needsto quick-start success in a 24-hour market. 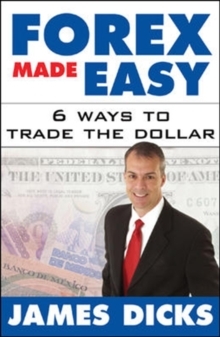 Inaddition to covering every fundamental aspectof the FOREX, this hands-on guide provideshard-won tools and strategies from a seasonedtrader, who helps you minimize your exposure tothe inherent risk in this unique market. 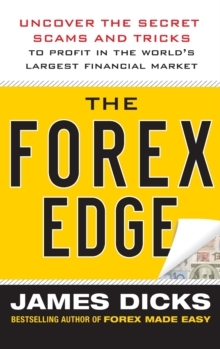 A useful volume you'll turn to again and again,FOREX Trading Secrets features specific examplesof proven trading strategies working in thereal world, a simple and profitable technique formoney management, and confidence-buildingskills for creating your own source of income. If you have never traded the FOREX before,FOREX Trading Secrets is the place to start. Itcovers the essential basics, including all majorcurrency pairs, the mechanics of trading, how toplace a trade, and deciding what type of traderyou are. Experienced traders gain expert insightinto the fundamentals, as well as such advancedtopics as creating a successful trading plan,managing risk, mastering your emotions, andbuilding your portfolio. You will benefit fromAn insider's clarification of theCarry TradeSeeing technical indicators andpatterns through a master's eyesThe secrets to FOREX diversificationA detailed explanation of the author'spersonal trading approachA Trader's Ten CommandmentsThere is no holy grail of FOREX trading, but withFOREX Trading Secrets, all you need is practiceto build a powerful trading toolbox for wealthsecurity in the world's biggest financial market.